Learn about the world of pets in this sticker and activity book! Learn all about pets while completing the activities and decorating sticker scenes in Discovery Real Life Sticker and Activity Book: Pets! This book is full of activity pages, including mazes, word searches, doodling, coloring, and more. After reading fun facts and fascinating information, children can use the more than 400 stickers to decorate the photographic sticker scenes. 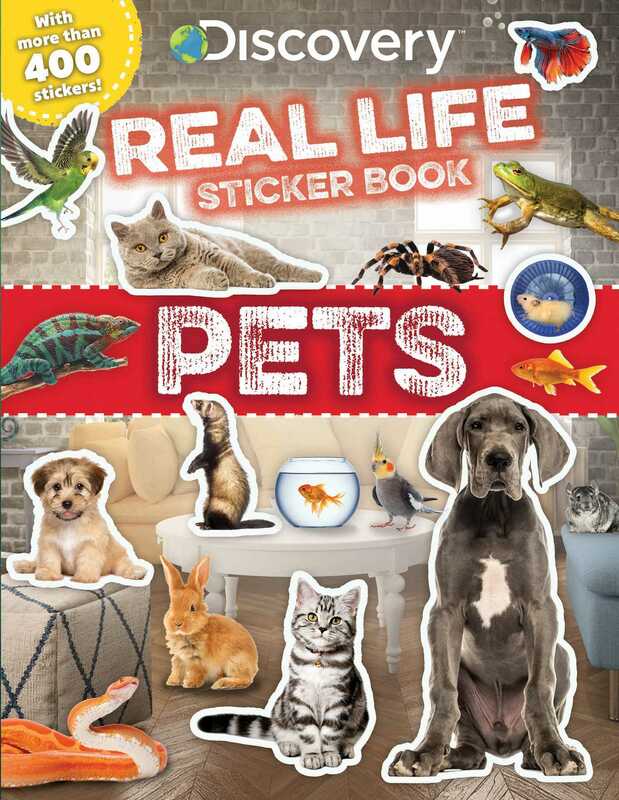 From pets big, small, furry, or scaly, children will love learning about the wonderful world of pets in this interactive sticker and activity book.